When we change this environment in any way that restricts their freedom or diet, we create stress. In order to live and work in partnership with our horses it is necessary to create changes and set boundaries. As we train them to understand and respond to our commands, house them in barns, contain them with fences and feed them processed feeds, we need to look for the signs of balance, both physical and behavioral, in all aspects of our horse care. Changes in living conditions; crowded, unclean, poor footing, insufficient turn out, not enough food, not fed at regular times, or lack of exercise. Personality changes, including aggressiveness, nervousness and depression. Turn horses out, let them de-stress in a natural setting. Add regular and varied exercise, mixing ring work, hills, and trails. Prepare your horse for travel or change; introduce all change gradually, whenever possible. Find toys or objects that redirect your horse’s mind from stress to play. Balance your horse’s diet with appropriate amounts of grain, forage, vitamins, salt and minerals. Soothing touch such as massage or energy work. Long term exposure to stress will lower your horse’s immune system. Probiotics can help reduce physical stress in the gut. By carefully observing and studying equine personalities and behavior, you will be able to recognize each horse’s stress level and coping methods. Humane living conditions that promote equine well being along with a clear understanding of equine psychology is what we all are working towards. 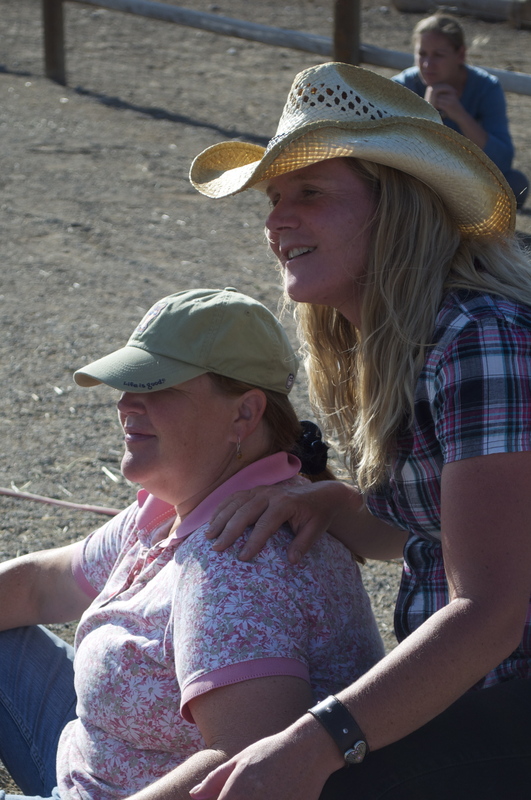 When we make learning fun and rewarding we are able to limit or reduce the stress levels in our equine partners. When we understand each horse’s unique personality and style of learning, we are able to determine the most effective ways to lower their stress. When we recognize, understand, and meet the physical needs of our horses, we lower their stress. By continuing to improve our knowledge and understanding of horses and of the unique nature of our equine/ human partnerships, we find that our interaction reduces not only our horses’ stress levels, but also our own. Equine Science Center at Rutgers University, Carey Williams, PhD, Equine Management and Assistant Director. University of Pennsylvania School of Veterinary Medicine, Sue McDonnell, PhD, Certified Applied Animal Behaviorist. The Equine Welfare Committee encourages positive and engaging educational exploration from our readers – we’d love to hear your feedback! Please let us know if you have any questions about our tip or have a suggestion about specific topics you would be interested in learning more about in the future. Email Kristin Mason, EWC chair, at kris12mase@yahoo.com . Thank you! In order to understand stress in our horse, we need to look at how horses would live naturally without human interference. They would live in a herd, eating small quantities and often as they grazed on pasture. We would see them using fight or flight as a means of protection against predators.